Who doesn't like smooth, exfoliated skin? How about fish living in the Great Lakes? On top of invading Asian carp and algae blooms, the Great Lakes are being polluted with tiny plastic beads from soap. The polyethylene beads are most commonly found in exfoliating facial scrubs, but they also appear in body washes and toothpastes. Americans buy products containing 573,000 pounds of them every year. Incredibly, a single tube of Johnson & Johnson facial scrub Clean & Clear, for example, contains 330,000 beads. These microbeads wash down our drains, accumulate in our oceans and, according to a recent study, even flow out into our troubled Great Lakes. There, the tiny plastic beads can be mistaken for fish food. If just eating plastic isn't bad enough for the fish, these beads also soak up toxins like PCBs and pesticides in the water. A recent study of lugworms in the Atlantic, for example, suggests that small pieces of plastic transfer toxins to the creatures that eat them. In other words, our exfoliating scrubs could be turning into pretty poison pills, little floating points of toxicity for fish. Worse, there's no known way to get rid of the beads from the lakes: because they're so tiny, filtering them out also means capturing plankton, an important food source for aquatic creatures. Even sewage treatment systems aren't equipped to catch the beads before they enter the larger ecosystem. The plastic beads are so small and light that they float, whereas treatment plants are designed to remove heavy, solid materials that sink. The 5 Gyres Institute, meanwhile, is looking for a solution. 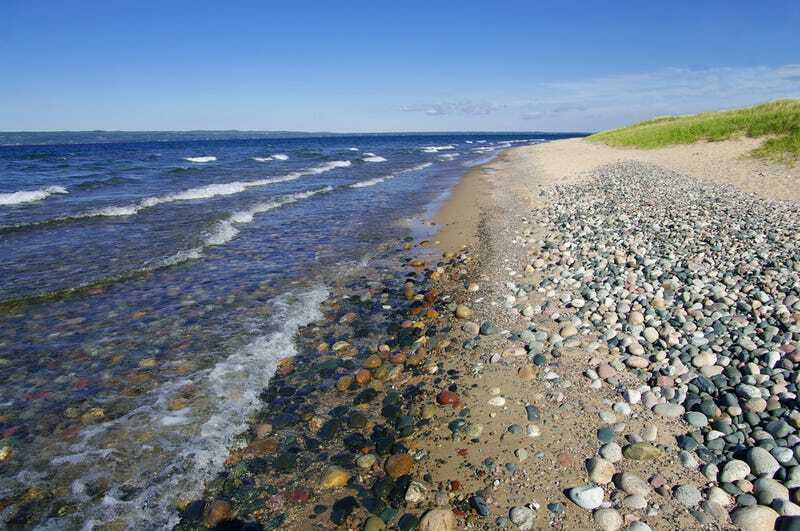 They have turned their recent research into microplastics in the Great Lakes into a platform for advocacy, pressuring companies to stop using the plastic beads altogether. In the past year alone, Johnson & Johnson, L'Oréal, Procter & Gamble, and Unilever have all announced plans to phase out microplastics from their products in the next few years. The companies say they need to find safe alternatives first. To help spur things along, 5 Gyres has released a Beat the Micro Bead app that scans bottles and tells you whether the product contains polyethylene beads. However, eliminating plastic beads won't solve the entire problem of tiny, plastic parts in our waterways. The floating detritus of the Great Pacific garbage patch, for example, mostly consists of small pieces of plastic broken up from larger ones. As a first step, though, getting rid of plastic beads seems a lot easier than getting rid of all plastic bottles. Finally, who knew soap could suddenly be so newsworthy? The FDA announced today that companies should put a hold on antimicrobial soaps. Chemicals in antibacterial soaps—such as triclosan—have not been proven to be any more effective than regular old soap and they may cause hormone disruption and bacterial resistance, according to the FDA. Man, what's the price of being clean?